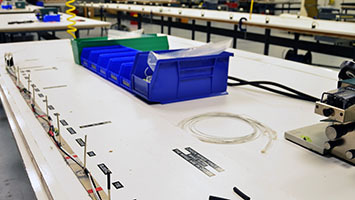 With state-of-the-art tools that include laser wire marking, Ventura Aerospace is able to manufacture simple to complex wire harnesses for our own products and flight test programs. We can also offer this same level of high-quality low-production-run manufacturing to meet any customer’s needs. We have the ability to manufacture any length harness with any number of branches. 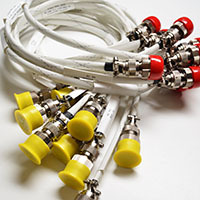 Ventura Aerospace wire harnesses are designed and engineered to meet specific application requirements for systems control, electrical connectivity, testing and support on numerous aircraft and equipment platforms. We offer build to print services for any size production run and can comply with any specifications that you may require.